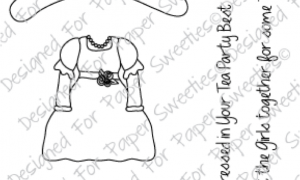 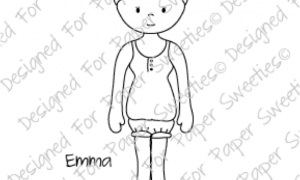 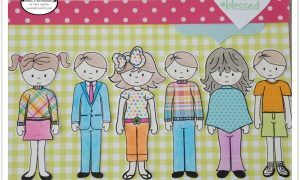 An outfit set of five adorable images with nine coordinating sentiments that will help you dress your favorite sweetie doll in style as well as create fun cards, tags, party invitations/favors, home decor and MORE! 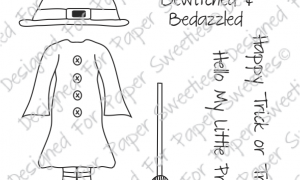 A fall/Thanksgiving theme outfit for the Sweeties boy doll, Jake, complete with ceremonial feather headdress! 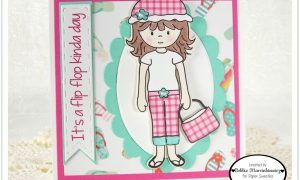 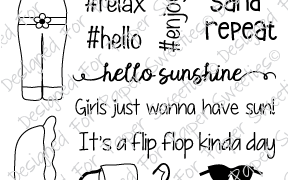 This fun set also includes four coordinating sentiments to help you make sweet cards, gifts, scrapbook pages, tags and so much more! 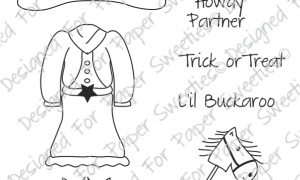 A cute pilgrim outfit to fit the Sweeties girls! 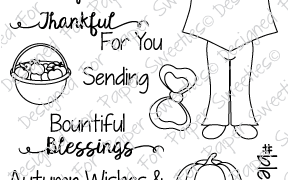 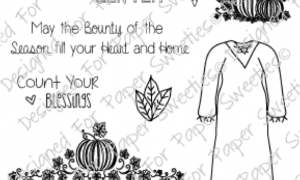 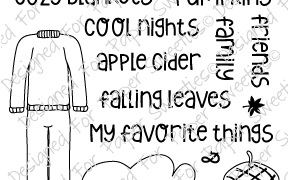 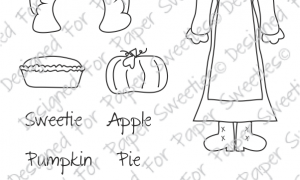 Set also includes pumpkin and pie images along with six sentiments! 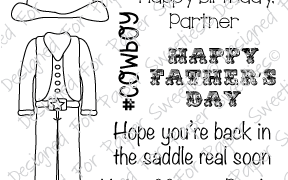 A cute stamp set containing six sentiments and two images -- use to dress Jake up as a cowboy! 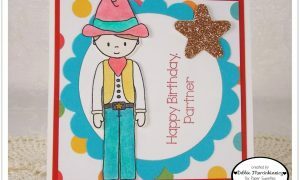 This set will help you create the best cards, invitations, favors, thank yous and layouts in town! 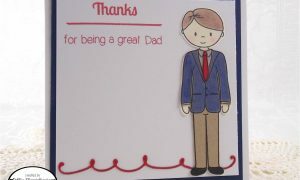 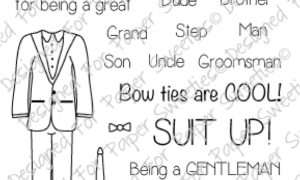 A 'great' masculine set to have on hand for all your paper crafting needs!